No suspect has been found yet in the fight near Angelo’s Tavern that put one man in a Tulsa hospital in the early morning hours a couple weeks ago. The man flown to the Tulsa hospital after the fight in Bartlesville was released on Christmas Eve. Sargent Jim Warring is working the case and says the man released from the hospital received significant head injuries in the fight. Sargent Warring mentioned Monday that he had a chance to talk to the man about the incident. 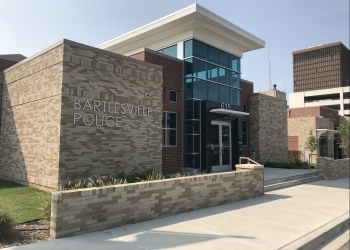 The Bartlesville Police Department is continuing to gather information from people who witnessed the incident on Saturday, Dec. 22. Sargent Warring says if you have any information pertaining to the incident, call 918.338.4001.